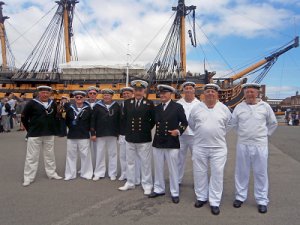 The story of Gosport always seems, one way or another, to have involved what I’d call ‘unfulfilled promise’ – a legacy that shows no sign of going away even now. Think it through – by 1753 we’d already got Haslar Hospital, Priddy’s Hard Magazine was ready in 1777, Burney’s Naval Academy in Clarence Square opened in 1791; The Royal Clarence Victualling Yard was opened in 1828; by 1831 Robert Cruickshank had completed phase 1 of The Crescent, with The Anglesey Hotel opening in 1830 to cope with the expected influx of visitors to the town, who would not only have been able to visit the baths & reading room opposite, but on 28th August 1832, could have gone to the first races at Stokes Bay racecourse. Sadly, phase 2 – a mirror image Crescent, stretching from the east end of St Mark’s Road (then called North Terrace) south-east towards Haslar, never materialized. Cruickshank was also instrumental in opening the Haslar toll bridge (1st April 1835), and the floating bridge (1840). Over a number of years, and largely due to a degree of animosity from our French neighbours, military presence was notched up several levels, with Forton Barracks being built, as well as Forts Gilkicker, Gomer, Grange, Rowner, Brockhurst and Elson being completed by 1863, with Fort Monckton already there. Other fortifications had sprung up, and moats were everywhere. Stokes Bay Pier station opened on 6th April 1863, with connections to the Isle of Wight. 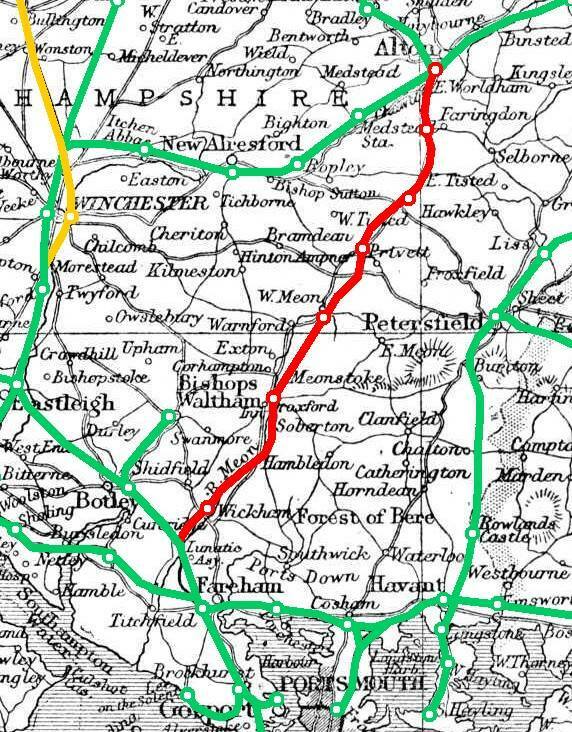 On 15th June 1865, the railway triangle was completed from Lees Lane to Daisy Lane, which enabled trains from London or Bishopstoke (Eastleigh) to travel directly to Stokes Bay without having to faff about at Gosport station. Between 1884 and 1894, Lee-on-Solent had Marine Parade built, and the pier opened on 3rd April 1888; expecting Great Things, a railway line from Brockhurst station (opened 1st November 1865, renamed Fort Brockhurst on 17th November 1893) to Lee-on-the-Solent opened on 12th May 1894. So then, much was expected of both Gosport and Lee, from a tourist AND military point of view; on 1st June 1903, the Meon Valley railway line was opened – one of the last significant new lines built; although only single track, tunnels were built to facilitate double track, should the need arise, and all station platforms were built long enough to accomodate 11-coach express trains. 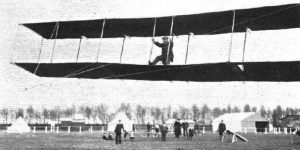 The line was encouraged by the military, as an alternative (extra) route to Portsmouth and Gosport, and of course, the public were expected to travel in their droves. As it turned out, it was all rather a damp squib, and the line closed to passenger traffic on 5th February 1955. Goods services continued to run between Fareham to Droxford until 1962, and likewise, between Alton and Farringdon until 1968, West Meon viaduct (a steel structure) having been demolished and sold for scrap soon after closure. Originally, the line saw express services between London (Waterloo) and Gosport/Stokes Bay, but such services ended in 1915, perhaps not entirely unconnected with the closure of the Stoke Bay line on 30th October of that year. It’s been calculated that the five main stations on the Meon Valley line (Tisted, Privett, West Meon, Droxford, and Wickham, with goods facilities at Farringdon and Mislingford) were “the most expensive stations per head-of-population-served to be built in the United Kingdom”. During WW2, on the run-up to D-Day, a large number of army tanks were transported by train to Mislingford, and unloaded in the goods yard for Canadian troops encamped in the Forest of Bere, local roads having been widened & strengthened to deal with the tanks; from there, all moved by road to Gosport, and off to the Normandy beaches. 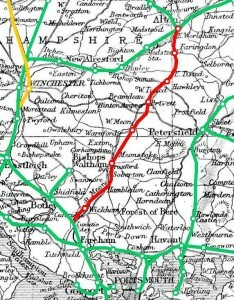 I’ve attached a photo of West Meon viaduct (credits to original photographer), and a map showing the Meon Valley line, so its significance with regards to Gosport can be seen; in 1907 a halt (small, unmanned station) was opened at Knowle, to serve Knowle Hospital and the village of Fontley; it’s interesting to see the hospital on the map described as ‘lunatic asylum’…. And so, everything had been in position for an influx of almost anything; but the tourists never came, and neither did the French. All gong, and no dinner, ultimately….